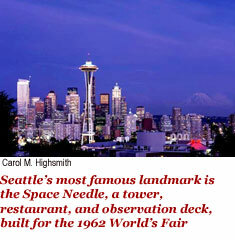 Last time, while enjoying my way across South Dakota, I mentioned that my ultimate destination was Seattle, Washington. Just as life is (hopefully) a marathon, not a sprint, my goal was to amble around all three of the Pacific Northwest states a bit in order to refresh my impressions of them. Seattle was the finish line. Note that I said THREE states, referring to Washington, Oregon, and enough of Northern California to be included. You could throw in the Canadian province of British Columbia, which is assuredly in the Northwest and, last time we looked, borders the Pacific Ocean. 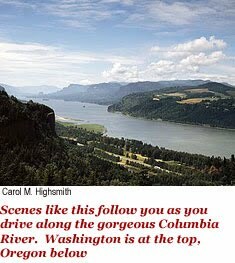 But hey, this is not Ted Landphair’s Anglo-America, much as British naval captain James Cook would have liked to hold us to his 1778 claim of all the lands north of the Columbia River in the name of the king. Idaho, which is up that way, too, sometimes horns into definitions of the region, even though you’d have to drive or tramp at least 725 kilometers (about 450 miles) from any place in that often-overlooked state to watch the sun go down over the Pacific. We did drive through Idaho’s northern panhandle, which, perhaps longingly, keeps Pacific time. 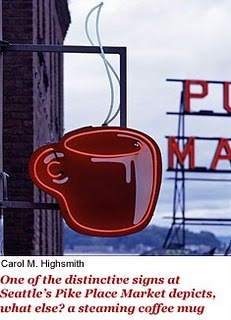 And Idahoans, like Oregonians and Washingtonians to their west, are nuts (or beans) about coffee. That’s where the “straining” comes from in today’s title. Rain band after band off the Pacific, and frequent fog and mist in the mountains of Idaho as well as the coastal states, put people in a mood for a long conversation over a tall mocha java. But sorry, Idaho. Love your potatoes. God bless your daredevil kayakers and whitewater rafters on the Snake and Salmon rivers. And let us know some time why Aryan cults seem to dig your woods. But you’re a Rocky Mountain State, and we were just passing through. Our journey to Oregon and Washington, and warm memories of California’s Sequoia country, confirmed the region’s association with trees. Enormous green ones, by the millions or maybe billions. 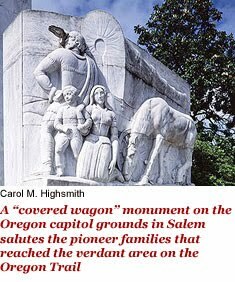 Washington is the Evergreen State, and on the Oregon flag there is a stand of Douglas firs next to a prairie schooner — a wagon with a billowing cloth roof in which many an early traveler arrived on the Oregon Trail. Everywhere you go, the scent of evergreen needles, fresh-cut timber, and the tangy smell of Pacific pine cones amazes, braces, and lingers. 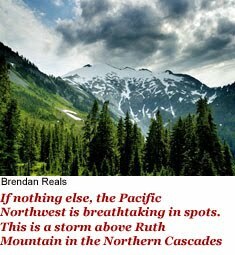 Deep in the woods, especially amidst the lowland fog in the Cascade and Coastal mountain ranges and the rainforest in Washington’s Olympic Peninsula, the smell of new-fallen rain refreshes, too. (Magically, soaring glaciers somehow rise out of the warm mists.) West of the mountains that follow the coast, the days — sometimes day after day after day — can be drizzly and dreary; the Olympic Peninsula, in particular, is lapped by moist ocean air that rides above the Pacific’s Japanese current; the Peninsula endures an average 371 centimeters (150 inches) of rain per year. But despite what the locals tell you, the average annual rainfall in Seattle and Portland — both well inland — is one-third that, and 13 times less than the rain totals on Mount Waialeale on the Hawaiian Island of Kauai, the rainiest spot on earth. Except in the wintertime, Pacific Northwest cities don’t stay damp and gloomy for long. Smells of the sea remain in one’s memory, too, for the people of the Pacific Northwest take to sailboats, cruise ships, fishing boats, and a veritable armada of ferries as readily as they travel by car. Beaches are plentiful but often far too rocky, and the water too nippy, for swimming. The faint odors there are of kelp and fresh driftwood, including whole sodden trees washed downstream and into the sea from logging camps. There is the smell, too, of halibut, tuna, and Dungeness crabs hauled ashore in giant trawlers and tiny fishing boats, as well as that of salmon smoking on grills along the piers and in commercial smokehouses in every good-sized coastal town. There’s often a bouquet in the air, too, around the thousands of hectares of apples, cherry, and loganberry orchards and strawberry fields. Oregon and Washington are leading producers of zesty peppermint and of flowers grown for bulbs and seeds. The forests, canyons, and mountain meadows abound with wildflowers — lupines, fragrant lavender, Indian paintbrush, phlox, and aromatic wild roses. And the Pacific Northwest boasts cultivated perennial gardens on the scale of southern England’s. Portland isn’t called the “Rose City” for nothing. And what of the ever-present scent of coffee from thousands of coffeehouses, espresso bars, carts on the street, booths inside grocery stores, and ethnic restaurants? My VOA colleague Art Chimes tells me that he once pulled into a Seattle gas station and found, right in the island containing the gasoline pumps and window-washing fluid and Squeegee, a narrow espresso kiosk from which a barista was busy handing lattes out the window. And then there’s that rain. Tea houses have sprung up like spring rhododendrons, too. Perhaps it is not the product alone, but also the process (more straining) that fascinates the region, for it is the epicenter of a microbrewery tsunami as well. Portland, which pours coffee and tea with the best of them, also boasts 50 or so microbrewereies and twice that many brewpubs. “Craft” brewers can be found throughout the rest of the region as well. The eruption in the number of small, neighborhood breweries coincided with the buyouts and consolidations of nationwide brewing companies marketing pasteurized, pale (Northwest aficionados say “watered down”) lagers and “light” beers. Regional breweries like Pyramid in Seattle, BridgePort in Portland, and Humboldt in Arcata, California, grabbed a niche with stronger ales, porters, stouts, and pilsners — also often bottled but not usually pasteurized. Taste, not a long shelf life, is their forte. I love eccentric Northwest brands such as “Hair of the Dog” out of Portland and “Mia and Pia’s” from Klamath Falls, Oregon. Somehow, despite the idle chatter at the brewpubs, coffeehouses, tea parlors, and Internet chat rooms, work gets done. A surprising amount of it, considering the region’s woodsy and marine traditions, is on farms and ranches east of the Cascades. There, the smells include those of new-mown wheat and alfalfa hay, mounds of freshly harvested potatoes, cattle clustered at feed lots, and sheep bunched together for shearing. The rain shadow cast by the coastal mountains leaves these flatlands relatively dry and warm, producing a long and frost-free crop season of 250 days or more each year. 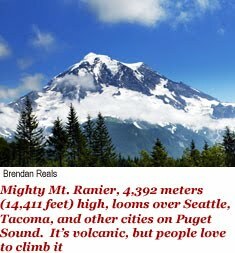 The Pacific Northwest’s imposing snow-clad peaks — Ranier, Hood, Baker, Shasta — have no special scent save for the bracing air of the great outdoors. It is in the high country — and in the region’s deep ravines, along its wild seashore, across the wooded San Juan Islands above Puget Sound, on thousands of freshwater lakes, and throughout the length of the wide Columbia and wild Snake and other rivers — that hunting, fishing, rafting, birding, and jouncy off-road driving are passions. The Snake cuts a gorge along the Oregon-Idaho border that is deeper than the Grand Canyon. Of course, the Spaniards who first poked around the coast of the Pacific Northwest in the mid-1500s were not interested in sights or smells. They were looking for glory and gold. They claimed the lands but did not bother to establish settlements along the rocky shore. British explorers like the aforementioned Cook, searching for a Northwest Passage between the Atlantic and Pacific oceans, followed two centuries later. Russian trappers sailed there, too, eventually establishing a colony at Fort Ross in Northern California. When the sea otter supply played out a few years later, most Russians departed for home, leaving behind a few churches and other structures. 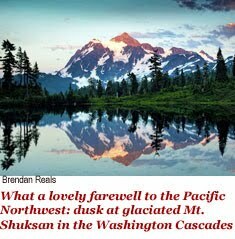 Fur traders of many nationalities soon followed into the Pacific Northwest’s interior. They included Robert Gray, a Yankee trader from Rhode Island, who crossed the bar of the Columbia River — which Gray named after his ship, the Columbia Rediviva — in 1792. The pathfinding expedition of Meriwether Lewis and William Clark, sent west to map the wilderness by U.S. President Thomas Jefferson, followed that river to the sea 13 years later. John Jacob Astor made a fortune from his Pacific Fur Company, established in 1811 by his minions in Astoria, the Oregon country’s first permanent settlement at the mouth of the Columbia, and the first American town west of the Rocky Mountains. A concerted incursion of other Americans, led by Methodist and Catholic missionaries and “mountain men” from the Rockies, began in Oregon soon thereafter. That’s “ORR-ih-gunn,” by the way, not “ORR-ih-GONE,” if you want to keep peace with the locals. The trickle became a human tidal wave beginning in the 1840s with the arrival at the land office at Oregon City — now a suburb of Portland — of farm families from the Midwest. 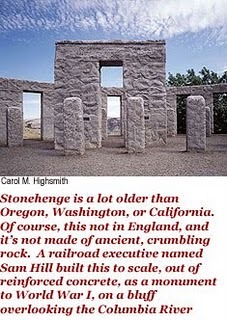 They had trudged from Missouri along the Oregon Trail to what were advertised as the “gates of Eden” in the fertile Willamette Valley. Imbued with “Oregon fever,” they came mostly on foot, leading their teams of mules, horses, or oxen that pulled all their worldly possessions. To their surprise, it was not the rugged Rocky Mountains that proved to be their greatest impediment, for a broad and gentle pass through them had been found in Wyoming. The most arduous climb was indeed at Eden’s gate, over Oregon’s Blue Mountains, which offered no passes at all. All the while, the Americans sought to push the British northward, preferably to latitude 54° 40’ in the Yukon, and James J. Polk sounded a rallying cry in his successful race for the U.S. presidency in 1844: “Fifty-four-forty or fight!” Knowing that its claim to the Pacific Northwest rested largely in the hands of a few Hudson Bay fur company traders and the valiant Northwest Mounted Police, the British took what they could get in a treaty struck two years later. It conceded all lands south of the 49th parallel (save for the protruding southern tip of Vancouver Island) to the United States but, in return, put an end to Americans’ designs on Canadian territory. 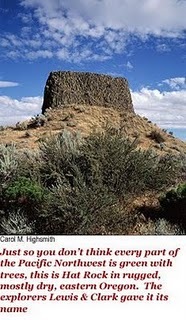 In 1848, the Oregon Territory, including what is now all of Washington and much of Idaho, was organized. Settlement proceeded in two distinct clumps: one to the south of the Columbia around Portland, and the other along the eastern shore of Puget Sound. In 1853, the northern reaches broke off as their own territory, named “Washington” after the first U.S. president. Truncated Oregon became a state in 1859; Washington lost some of its lands to Idaho Territory and waited 30 more years before becoming the nation’s 42nd state. For much of this period the bulk of Northern California was a wilderness, but the arrival of the transcontinental railroad in Sacramento spurred rampant development. In the years since, the Pacific Northwest’s economy has grown largely because of its timber and agricultural riches, its extensive mining, hydroelectric and nuclear energy production, aluminum smelting and refining, and, later, aerospace and computer industries. The economy has also benefited from tourists like Carol and me, drawn to the region’s boundless natural wonders that include volcanic peaks like mounts Ranier and Hood, and the remnants of Mount St. Helens — a volcano that erupted in 1980 and around which, despite some forest regrowth, barren hillsides and charred timber can still be seen. Today St. Helens is the official “national volcanic monument,” though the closest that visitors can get is an observatory eight kilometers (five miles) away, where the still-steaming lava dome, crater, and landslide deposit can be seen. Crystal-blue Crater Lake in southern Oregon is set in the depression left by the explosions of another, now-extinct volcano. A comprehensive tour of the Pacific Northwest might begin, though, in extreme Northern California. This is a land far different from the rest of the Golden State. 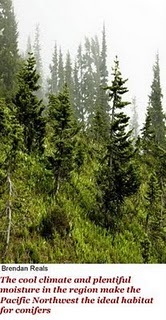 It is a trove of national forests, wild rivers, precipitous mountain roads, and craggy coastline akin to green Oregon. The far-northern California counties are a dense, woodsy place where not just ice and deer pose road hazards; so do gray-pine cones, which fall like rocks and damage vehicles and noggins. From there, reservoirs, dams, and aqueducts divert water to the state’s arid Central Valley and on to glittering Southern California. Close to the Northern California coast looms the majestic Redwood Forest, home to the world’s tallest — and some of its oldest — trees. 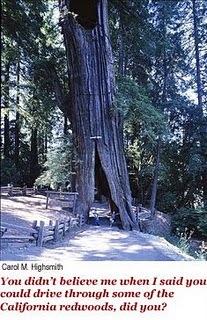 One, called the “Immortal Tree,” is thought to be 950 or more years old. The Redwood Highway, or “Avenue of the Giants” through Humboldt Redwoods State Park leads visitors past and even through living trees. 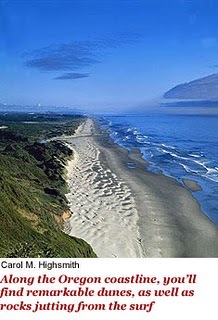 They grow there and only there, in the humid coastal climate of Northern California and southern Oregon. With all that grandeur, no wonder Humboldt County is California’s “art capital,” with more artists per capita than any other county. 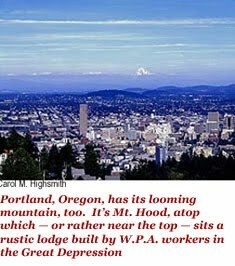 Up in Oregon, pretty Portland is a remarkably self-contained city by design. 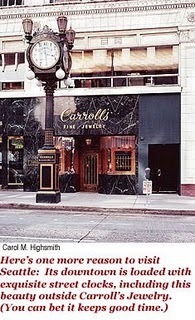 Under Governor Tom McCall in the late 1970s, and with the cooperation of county and suburban officials, it drew a simple line around the metropolitan area. This boundary has expanded outward, but its rigid purpose is still largely in place. Inside the line, carefully controlled urban growth is permitted. Outside — sometimes even on the other side of a street — forests, farms, and open space must be maintained. Developers howled at this idea. They warned of a loss of jobs, but the opposite has occurred. Factories and high-tech campuses arose, and both the population and home prices soared without unchecked sprawl. Still, downtown Portland is home to the nation’s largest urban wilderness in Forest Park. The city even tore up a downtown freeway and replaced it with a delightful riverfront park whose many festivals have helped keep residents in town and downtown alive at night. There’s also a long, dedicated transit mall, much of which is closed to automobile traffic. Oregon even has its own Mardi Gras, of sorts. It is the annual Graffiti Weekend each July in Roseburg, gateway to Crater Lake and the Oregon Caves National Monument. The name springs not from scribbling on building walls but from the 1973 movie “American Graffiti,” director George Lucas’ popular paean to the 1950s. In Eastern Oregon — wheat and high-desert country — ranchers raise everything from antelopes to llamas to reindeer. And the land across the Columbia in eastern Washington is just as remote and dusty until one reaches the irrigated orchards around towns like Pasco and Walla Walla. The latter’s name derives from an Indian word for “many waters.” So important is agriculture in the area that an official of the local chamber of commerce once sent me a list of tourist attractions that included the sweet onion. Seattle, an increasingly prominent and globally competitive city in the midst of a metropolitan area of 3 million people, is the region’s most notable crossroads of peoples, cultures, technologies, and transportation. It is a place where Yakima apples go out and New Zealand kiwi fruit comes in; where tourists from across America come to buy salmon at Pike Place Market or get on a cruise ship to Alaska; where more than 500 international firms have a presence; and where the value of goods shipped to far-off Japan is nearly double that sent to nearby Canada. 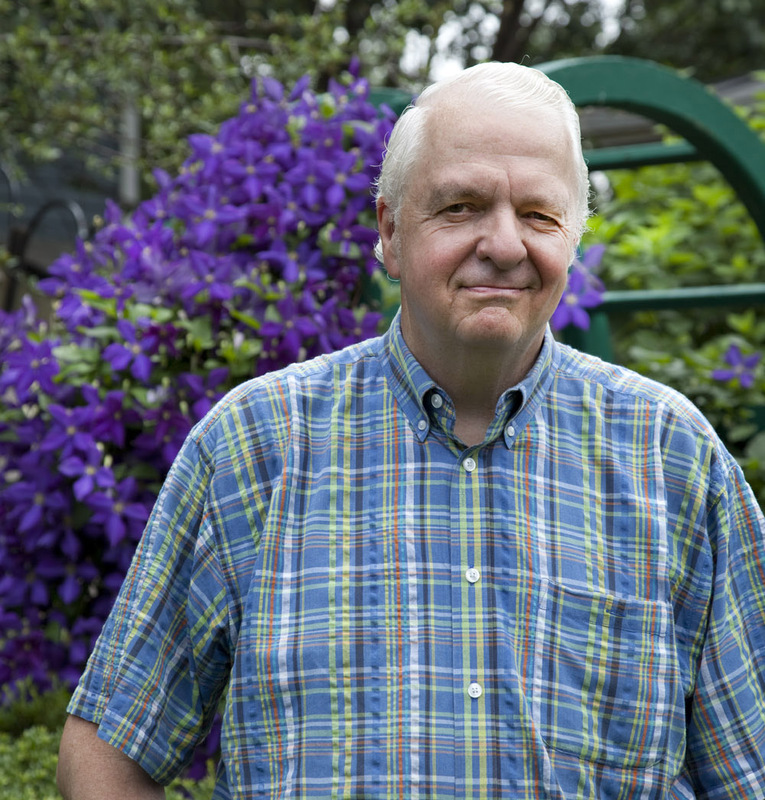 Named for “the Emerald City,” See-Attle ranks third in the nation in percentage of professional and technical employees, and third in percentage of adults who have competed college. The Boeing aircraft company and Microsoft computers, the region’s largest employers, are among America’s largest exporters. Taken as a whole, the Pacific Northwest tests the limits of hyperbole: spectacular, sublime, panoramic, a racial melting pot with a pronounced Asian accent. And — remembering especially a steaming cappuccino in Seattle, a pint of fresh-brewed pilsner in Portland, a bite into a freshly cut peach near Bend, Oregon, and a blast of cool air in the pines along Lake Sammamish on my recent visit — the adjective I like best in describing it all is . . .
Akin. (Usually used with the preposition “to.”) Similar to. Having the same quality as. Barista. From the Italian, it refers to one who grinds beans into coffee, specifically behind a shop counter rather than at home. Jouncy. Bumpy and jolting, bouncy. Noggin. An informal word for one’s head, especially used when describing a knock on, or blow to, the head. Paean. Pronouncded “pee-AWN,” this is a shout or song of praise. The word was used in hymns of thanksgiving to the Roman gods. Tags: American, California, Oregon, Seattle, Ted, USA, Washington, D.C.